AV Parts Master is one of the UK's leading online audio visual retailers. Founded in 2000, the company has grown into a major reseller and installer of AV equipment. Challenge: To renovate and re-invigorate the Lyonian Pavilion do draw more people to the venue and create a space where people could come to enjoy food and drinks whilst watching major national and sporting events. Solution: AV Parts Master chose the Optoma EH500 for its ease of connectivity and bright Full HD 1080p image quality. 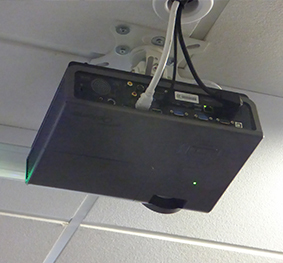 Results: The installation of the AV system in the venue has really attracted the attention of the customers. 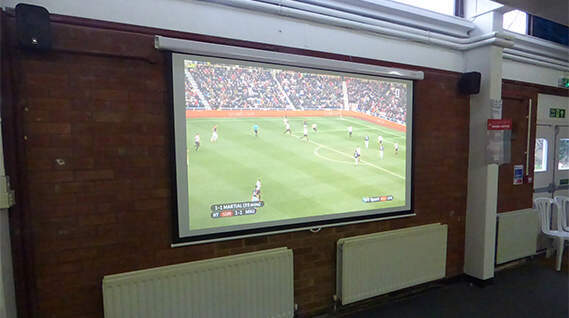 They had the European Football Championships in mind with the install so that they could provide their customers with the best viewing experience for the competition. 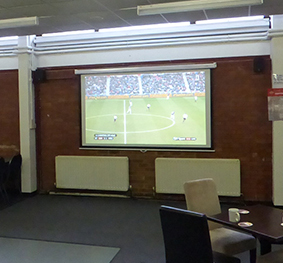 Old Lyonian Football Club, home of the Old Lyonian Association (OLA), was re-locating back to the Lyonian Pavilion at John Lyon School.As part of its major refurbishment of the pavilion, it wanted to install new AV equipment that would encourage members to dwell longer in the sports club after their matches and to draw people to the venue to watch major national and international games. This would create a better atmosphere in the clubhouse and generate revenue for the club from food and drink sales. AV installer AV Parts Master installed an Optoma EH500 projector, a Sapphire 2.4m channel fix manual wall screen together with JBL Control 1 Pro speakers and a Denon DN-A300M mixer amplifier for the audio system. The EH500 Full HD 1080p projector was chosen because it is bright (4,700 ANSI Lumens) and full HD to give brilliant image quality, whatever the time of day. The projector has extensive connectivity with HDMI, DisplayPort and two VGA inputs and offers full support for Crestron Roomview, Telnet, Extron, AMX and PJ-Link protocols, allowing almost all aspects of the EH500 to be controlled across a network. It also has a number of environmentally friendly energy saving features including standby mode and auto power off. 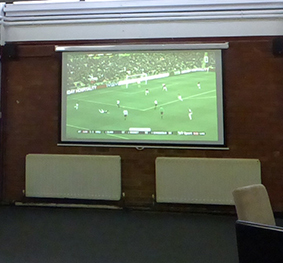 OLA is now set up to show matches from the Euros, FA Cup and Premier League. Members can enjoy subsidised drinks after their Saturday games or mid-week training to watch these major matches. It will also be showing different sports and recently screened a boxing match that attracted 300 people to watch the fight at the club. The install took place in December 2015 and OLA returned to its original ground where it was established over a century ago. Ian Dennison, Vice Chairman of Old Lyonian Football Club, said: “We wanted to strengthen the link between the school and the OLA and encourage more members to use the clubhouse socially. But it needed a full refurbishment – and this included the AV equipment. EH500, Sapphire 2.4m channel fix manual wall screen, JBL Control 1 Pro Speakers, Denon DN-A300M Mixer Amplifier.